Long recognized as a world-renowned supplier of high purity chemicals and reagents, FUJIFILM Wako Chemicals U.S.A. Corporation continues to maintain a proud history of product quality and customer service through the establishment of our LAL Division, and the introduction of our new PYROSTAR™ ES-F line for the detection of bacterial endotoxin. Welcome to our LAL Reagents section. On this page, you will be able to browse through our gallery of Limulus Amebocyte Lysate products for the detection of Gram-negative bacterial endotoxins. Choose from our different detection methods and request quotes now! To complement our limulus amebocyte lysate (LAL) reagent product line, our trademark PYROSTAR offers accessories, kits and solutions for use in the different endotoxin detection assays. 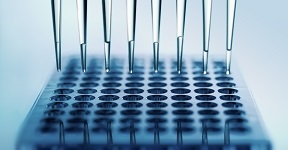 View Gel Clot Reaction Tubes, Lysate Reagent Water, Toxinometer® ET-6000 Series and more. Our FDA-licensed LAL reagents and related accessories are available from our network of distributors around the world. Search for your location and find contact details of our resellers in your country. 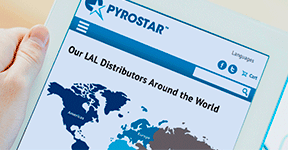 Are you interested in becoming a distributor of our LAL reagents? Contact Us Now.